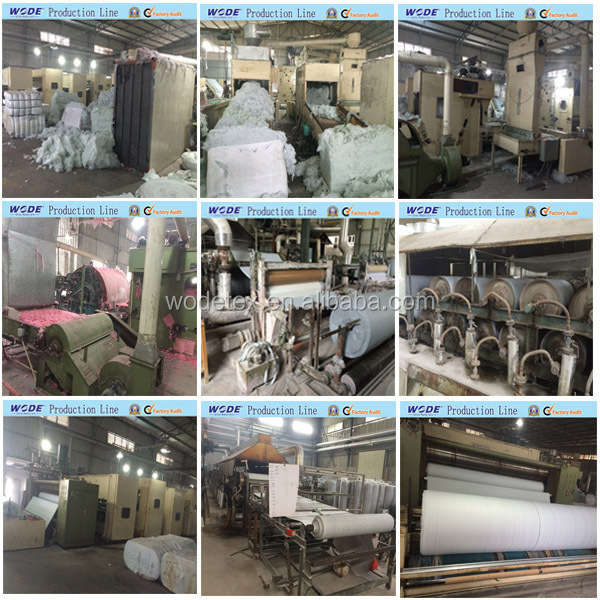 By sheet or by roll for eva sheet for footwear, 25 sheets per one polybag and outside with strong plastic bags, or by wooden pallets packing. 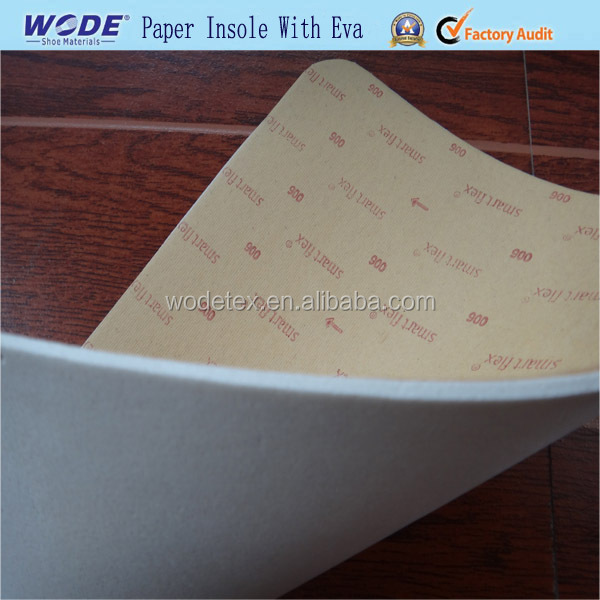 For paper Insole board: from 1.00mm~2.00mm are available. 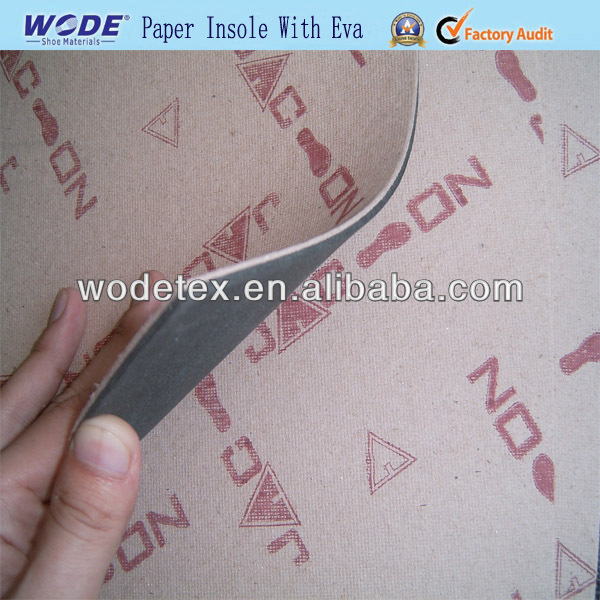 For the EVA:any thickness is ok,based on customer’s requirement. 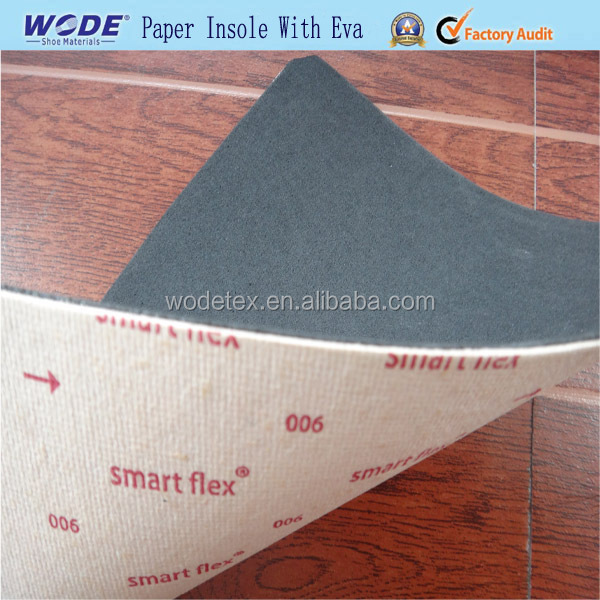 Weight Based on quality and size, pls give us more details of paper insole board with EVA. 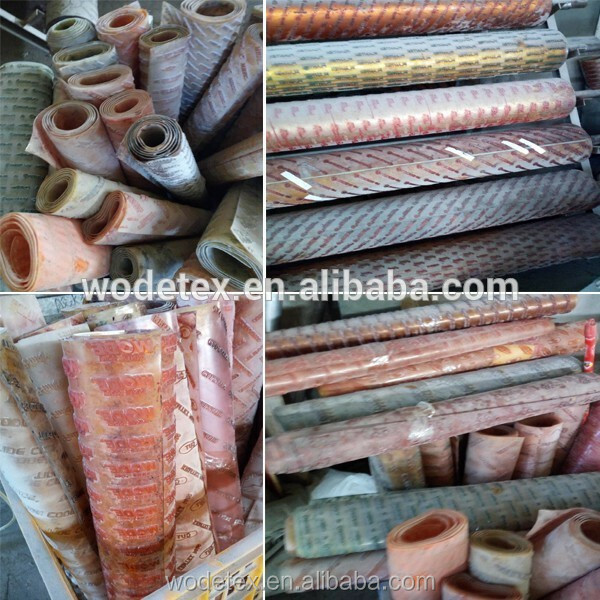 Coatted Glue Strong Glue(Best one),Common Glue(Better One),or Water Glue.As per customer’s like. 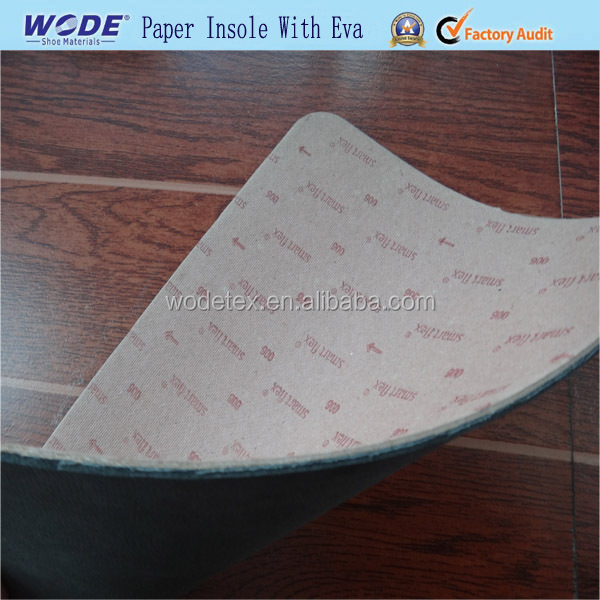 Our Factory have many different kinds of paper insole board quality for choice. 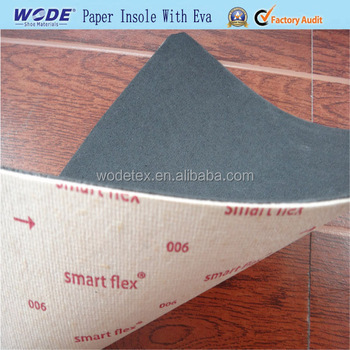 Any hardness and quality of EVA is ok.
1.Good stiffness, water resistance, folding and stability. 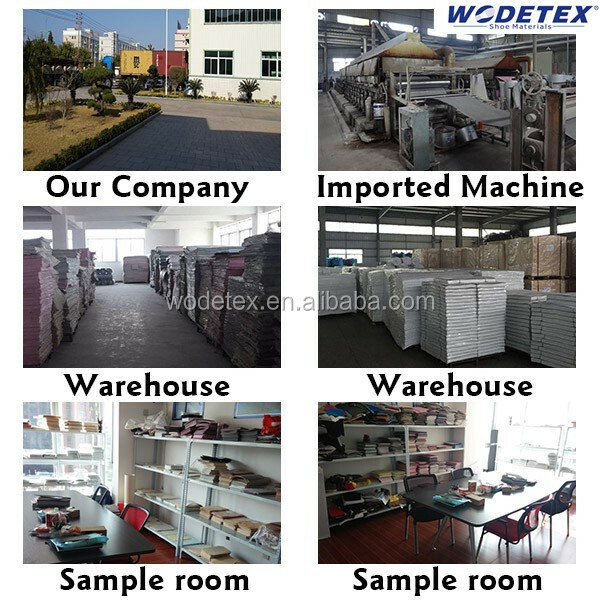 2.Environmental protection, odor resistant, breathable, does not contain formaldehyde, heavy metals and other harmful substances. 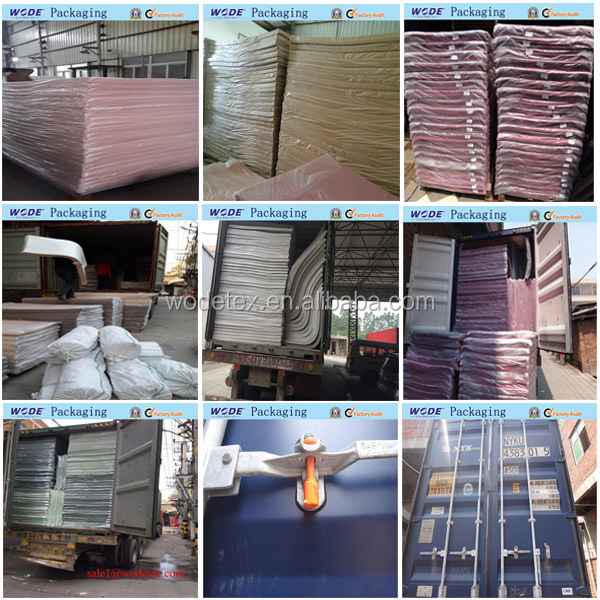 2,could be packed by wooden pallet. 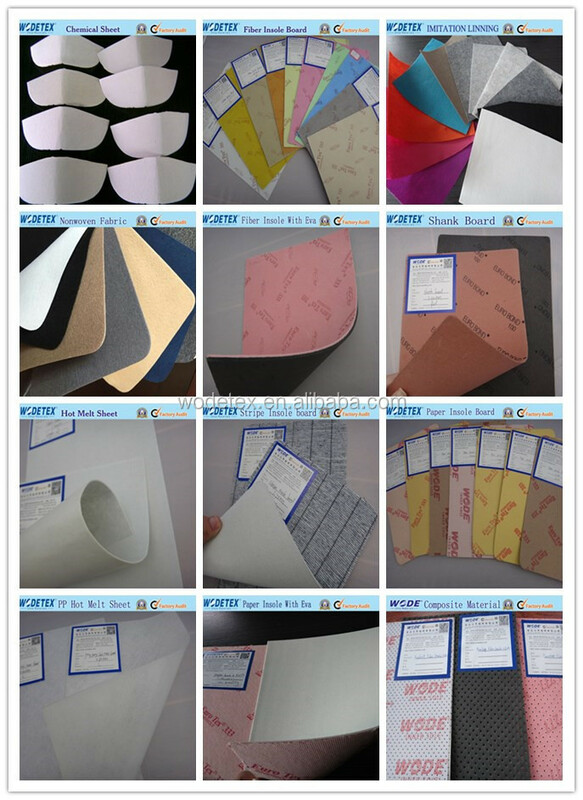 Sample We can provide free samples. 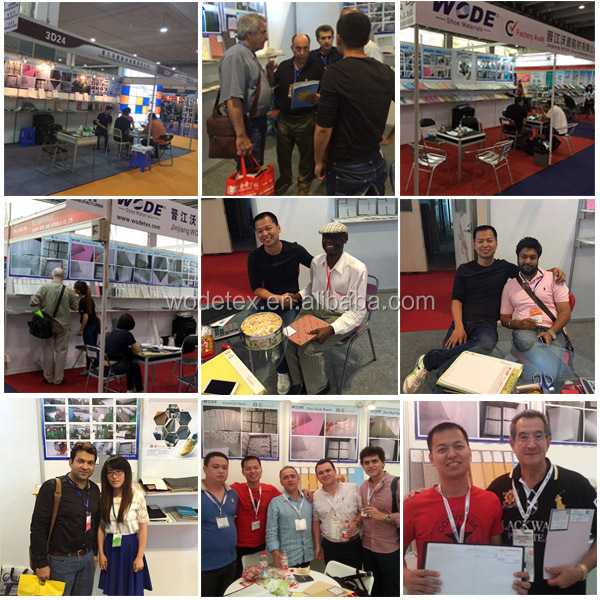 Track Number If we send sample to customer's,we will give customer's track number.